Clean and Safe Solar hot water systems in use today produce approximately 1000 megawatts of energy annually. That is the equivalent of two medium-sized coal plants. 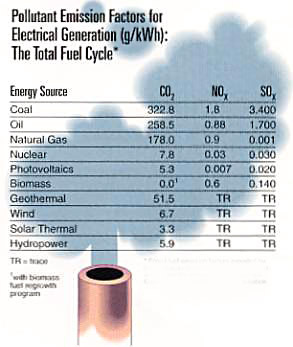 The life-cycle costs of SHW systems are about the same as gas and far better than electric. Solar energy is pollution-free, an important benefit when the cot of removing pollutants from the environment is considered. For example, a typical SWH system will, over its lifetime, displace 10.5tons of CO2 if replacing a natural gas system, or 71.5 tons if replacing an electric system. Solar water heating technology, pioneered in the U. S., is the oldest and most developed of all renewable energy systems. Modern solar water heating systems can provide a large portion (40 - 80%) of household hot water demand depending on local climate conditions and the size and type of system. Most systems pay for themselves in four to seven years and continue to provide hot water for many years thereafter.